Five members met me on a sunny afternoon for a walk around Patmore Heath. I explained how it was owned by Albury Parish Council and was also a Site of Special Scientific Interest a designation for protected and special areas of the UK. We had an enjoyable time and saw Small Copper, a very worn Brown Argus, Small Heath, Common Blue, Small White, large White, Red Admiral, Comma and Speckled Wood along with Latticed Heath and Silver-Y moths. There were also lots of dragonflies still around, particularly Ruddy and Common Darters. The recent wet weather had resulted in a flush of lots of different fungi of which we were able to identify some of the more common ones. One of the people who came on the walk was a former heathland specialist from English Nature and she was very knowledgeable, showing us all lots of the rare and uncommon plants that occur at Patmore Heath. We also saw Green Woodpeckers and a Kestrel which “posed” for pictures on a tree stump a short distance away for a very long period. As we moved across the heath, I explained how for centuries it would have been grazed and how this along with the very sandy soils had resulted in a very diverse range of plants and animals that had adapted to live under these conditions. 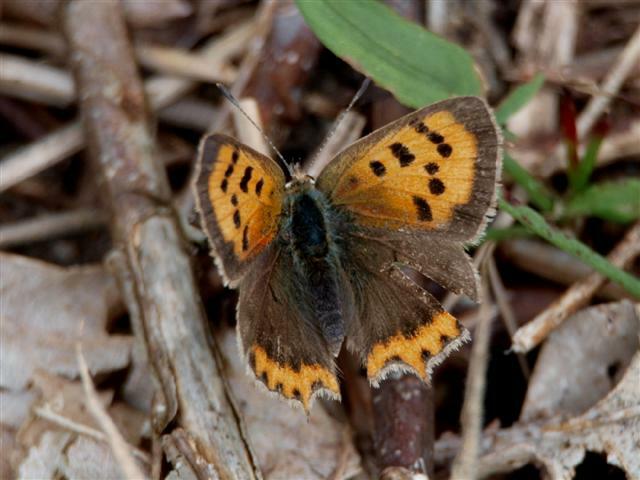 One of the plants that was growing very abundantly was Sheep Sorrel, the foodplant of the Small Copper butterfly for which the site is a stronghold in Hertfordshire. Everyone seemed pleased to look at the two different flocks of sheep on the heath. They were doing a great job of tucking into the all the oak and birch saplings that would soon shade out many of the rarer underlying plants if they were allowed to grow unchecked. The heath was once completely open, without the tree cover that exists today. Animals stopped grazing the heath around the 1940s, and over the next 70 years scrub and trees began to invade it. We looked at the conservation work that had been carried out during the last winter and at the ponds which were mostly dry at this time of year. We discussed their importance for wildlife and how there was debate as to whether they were ground water fed or had clay puddled into them and also looked at the some of the capped wells which some people believed indicated that ponds relied mainly on the level of the water table for their water. I think and hope that everyone and an enjoyable afternoon and found Patmore Heath an interesting and enjoyable place to visit. Just two stalwart souls turned up for the walk round the heath. Intermittent bursts of sun helped to stir the butterflies but the wind was very strong from the south-west so the sheltered areas were the most productive. Setting out at 10.30am from the car park, we strolled slowly towards the eastern end of the heath seeing the odd white and gatekeeper on the way. Circling back through an area of heather and birch saplings the first Small Copper was spotted. Apart from one Gatekeeper, the central area was devoid of butterflies and we strolled on to the open area of the western half. On the northern edge, where I expected to see Small Coppers, there were none but we did see a Small Heath and Common Blue. Circling back again on the southern side, sheltered from the wind, we began to see Small Copper, Common Blue, Small Heath and Gatekeeper. Finally through the wooded section Speckled Wood butterflies made an appearance and we finished at the car park just before 1.00pm. Seven species were recorded. Common Blue 7, Meadow Brown 1, Small Copper 5, Small White 4, Small Heath 4, Gatekeeper 5 & Speckled Wood 7. Not too bad under not ideal conditions. Trust me to pick the only wet hour on an otherwise fine Tuesday! So apologies and thanks to those three intrepid and hardy souls that sheltered with me under the bushes from the heavy rain. It did brighten-up a bit, so se did actually see a couple of Small Whites and a Gatekeeper, Meadow Brown and a Speckled Wood when the sun shone, briefly. I hope I managed to show our guests how it is possible for a small area (c. 10 acres) in the City Centre to support a variety of species; 20 so far have been identified within the cemetery walls. Not only is the cemetery a haven, so are the gardens that surround it, providing a very divers set of habitats that feed into and off, the cemetery itself. 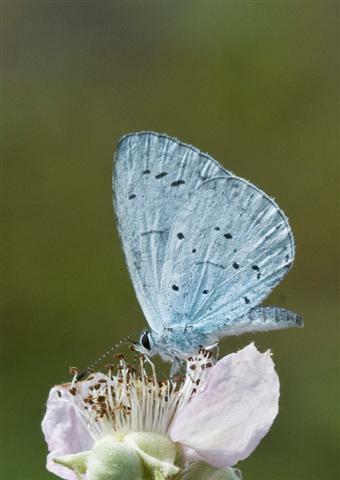 Our second Walk on Thursday provided ideal conditions to see this, as our band of five visitors were presented with a good number of Holly Blue, some nectaring on the brambles, one of the most successful species in the cemetery; not surprising with so much holly and ivy around. 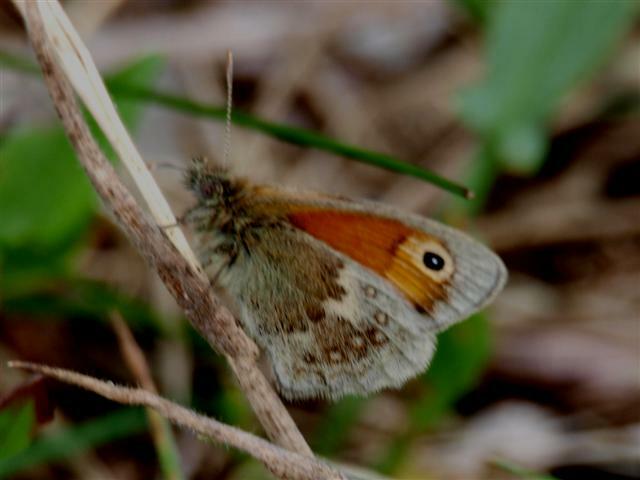 Large, Small and Green Veined Whites were also present throughout the tour, as were the odd Gatekeeper, Speckled Wood and Meadow Brown and a single male Common Blue in the uncut grass to the north of the site. (I later saw a single Red Admiral and Comma). The City Council, with input from the Trustees and Friends of Mill Road Cemetery, balances the responsibilities it has to maintain the cemetery as an active place of remembrance with the need to protect the wildlife and flora that have made it their home. It already supports urban foxes and European edible doormice in small numbers in and around the gardens surrounding it, together with weasels, hedgehogs, various small rodents, including shrews, and bats, and a surprising number of birds - a friend heard a Willow Warbler singing in the Cemetery the other day - bringing the number of species seen or heard in there to over 35. And this is not to mention the over 110 species of wild plants that exist there; indicators of uncultivated neutral/calcareous grassland species include Clary, Hoary Plantain and Scabious. So it is also an important example of preserved grassland, of which there are few in Cambridgeshire; It qualifies for this as a City Wildlife Site. Working together, we hope to encourage more members of the public to visit this unique and charming example of a mature Victorian cemetery, hidden away just off the City Centre, and witness for themselves the potential the area provides for wildlife to thrive. Thanks once again to all who attended; I hope to run some more Walks, so keep an eye out if you are interested. In rather overcast and windy conditions, around 30 members gathered in the car park where Joe Firmin outlined the background to the project started in the mid nineties to re-introduce woodland species which had died out in the past. 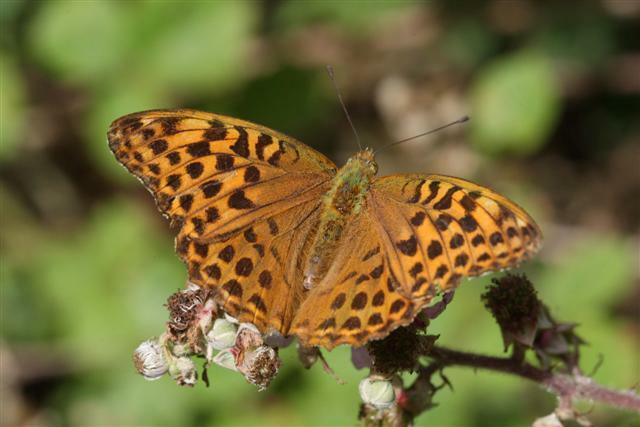 The Silver-washed Fritillary and the Purple Emperor are now flourishing in the Marks Hall woods and were the ‘target’ species for the trip. The group was split into two with one led by Joe and the other by Dr. Ted Benton. Although there was not much sun, a large number of common grassland species were to be seen everywhere. 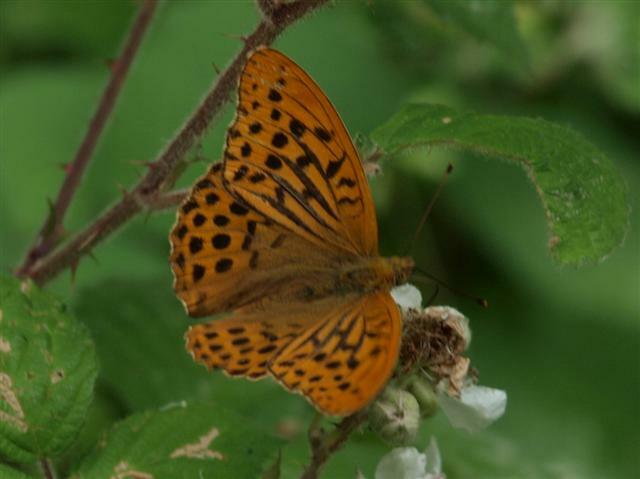 Then along the edge of a ride the first Fritillary was spotted nectaring on bramble. Further on, with the sun beginning to make an appearance, in a small glade several more were flying and settling on the bramble giving everyone chance to photograph them. Both males and females were present. Then the sharp eyes of Rob Smith spotted a large butterfly crossing the clearing high up, almost certainly a Purple Emperor. Walking on through the woods heading for a Purple Emperor 'hotspot', we came across two tiny Comon Shrews and a young Grass Snake, all dead on the roadway. 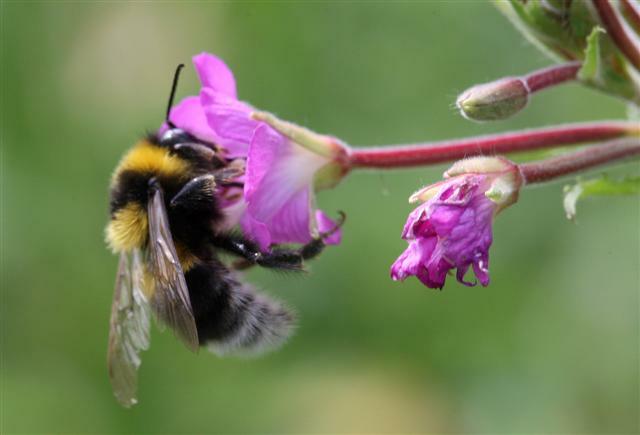 Much interest was also generated by a copulating pair of White-tailed bumblebees Bombus lucorum, very much alive on the roadway. Coming to a junction of two paths one of the party, Sue Mathews, suddenly cried out “there’s one” and all eyes turned to see a Purple Emperor alight on a tree branch about ten feet from the ground. Joe must have trained it well as it perched for several minutes while numerous photographs were taken. At the same spot, almost a dozen Purple Hairstreaks were flying and settling on nearby bramble but unfortunately out of reach of most cameras. We gathered back at the Visitor Centre for a late lunch, ending a very successful morning walk with both target species having been seen well by virtually all the group, along with numerous other butterflies. Thanks were extended to both Joe and Ted for enabling us to enjoy a very satisfying trip. Several people decided to stay on and enjoy the afternoon sun, but before venturing back into grounds of the Estate, Ted Benton, while searching for Willow Emerald damselfly Lestes viridis around the small pond near the Visitor Centre, happened upon a male Large Garden bumblebee B. ruderatus, now very scarce in the UK. Good views were had of its diagnostic ‘D’-shaped rear thoracic bright yellow/mustard stripe and the hairs on the femur of the hindlegs which lay down the length of the leg rather than projecting at right-angles. 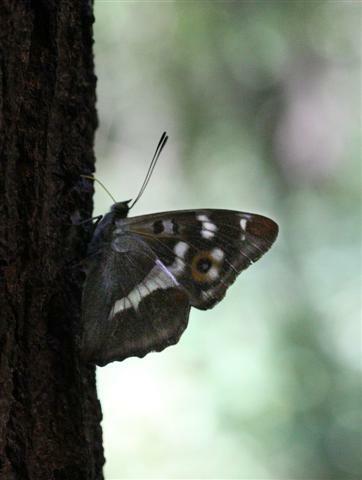 More in hope than expectation, we backtracked to the Purple Emperor ‘hotspot’ to see whether the pristine male seen earlier would still be there. After a good 45 minutes with hopes fading somewhat, a female Emperor flew into view and gave some good aerial views around the sallows. 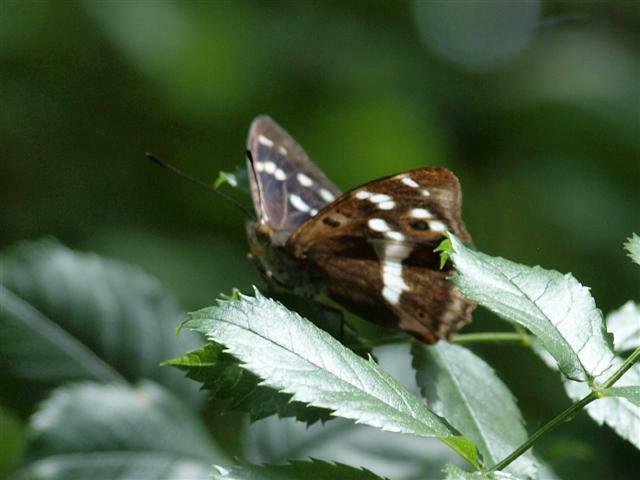 We returned along the ‘Oak Avenue’ in hope of spotting White Admiral, having heard that a lone specimen was seen earlier in the day by just one lucky person. 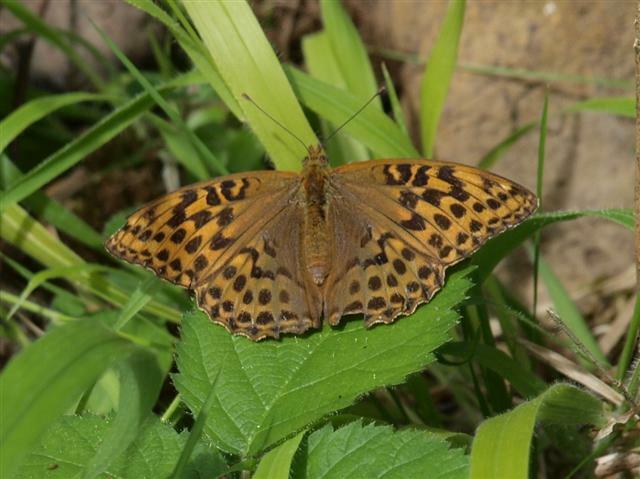 Several Silver-washed Fritillaries were still on the wing and we were delighted to have yet another Purple Emperor fly quickly through, unfortunately not stopping for inspection. What a cracking end to a splendid day’s butterfly watching. Silver-washed Fritillary 15, Purple Emperor 4, Ringlet 200+, Gatekeeper 50+, Meadow Brown 50+, Small Skipper 10, Essex Skipper 3, Large Skipper 5, Comma 20+, Purple Hairstreak 100+, White-letter Hairstreak 1, White Admiral 1, Large White 2, Small White 4, Green-veined White 3, Peacock 1, Small Tortoiseshell 2, Speckled Wood 2, Red Admiral 3 & Holly Blue 1. Heavy rainclouds had passed over the Thames estuary earlier in the morning and the rain associated with them had stopped, but it was still grey and overcast as the hour for the walk came. Five people (Den & Ian Black, Pamela & Guy Schooling and John Smart) bravely turned up despite the inclement weather. Fortunately, as we carefully descended the slippery muddy path from the St Mary’s Road entrance to the park, the weather began to brighten up. We immediately saw a Red Admiral. At the bottom of a flight of steps we turned into a small ride with sucker Elms on each side, here on fine days can be found White Letter Hairstreaks flitting around the branches and, sometimes on occasions at lower levels, nectaring on bramble blossom. Unfortunately it was far too windy and no White Letter Hairstreaks were found. 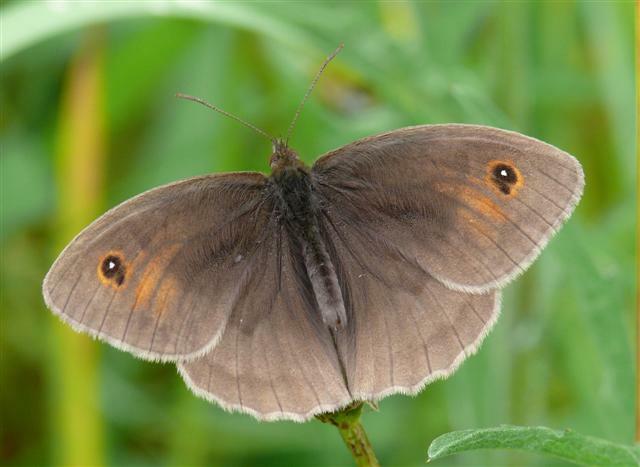 However, a glimmer of sunlight had warmed up the ride sufficiently for grassland loving butterflies like the Meadow Brown and Ringlet to appear. We then saw Gatekeeper, Large White, Small White, Small/Essex Skippers and a Comma. 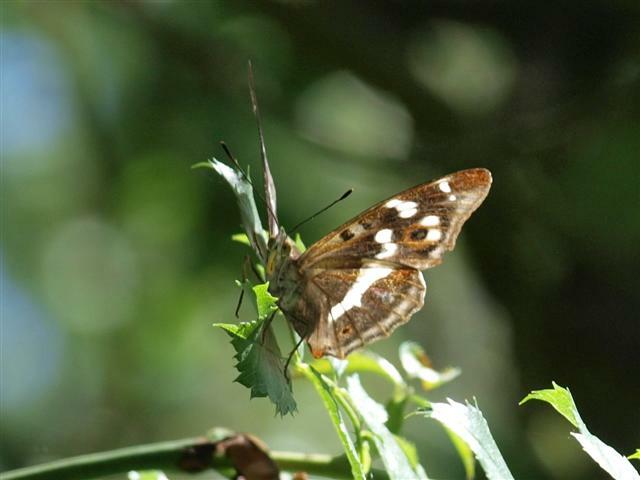 At the end of the narrow ride the path opens up into a flower meadow and here we found Large Skipper and Marbled White, a butterfly new to Den Black, which posed in the weak sunlight with its wings open so nicely that we all stopped to admire it. We then walked on along a ride locals call Adder Alley, for obvious reasons, and looked at large oak tree where Purple Hairstreaks live, but we saw none today because of the strong wind. Next, turning back parallel to our outward route, we passed along a long straight ride where we found Peacock and Green Veined White. In August I have found the scarce Wall along this ride in its sunny sheltered spots. At the far end of the reserve we then walked around the large flower meadow but only found butterflies at the base of the hill where the hedge gave shelter from the wind. Returning to the top of the meadow we rejoined the narrow ride leading back towards the steps and our cars. Along this path we saw Speckled Wood and, right by the steps, a possible singleton White Letter Hairstreak whisked away in the breeze. However, as I was the only one who caught a fleeting glimpse, there is a chance that my “sighting” was more in hope of seeing the target species than in reality! Fourteen different species were seen on the walk, a respectable total on a dank day. Fifteen butterfly enthusiast from across East Anglia met at the main car park in Salcey Forest, well into the territory of our neighbouring Beds & Northants Branch. 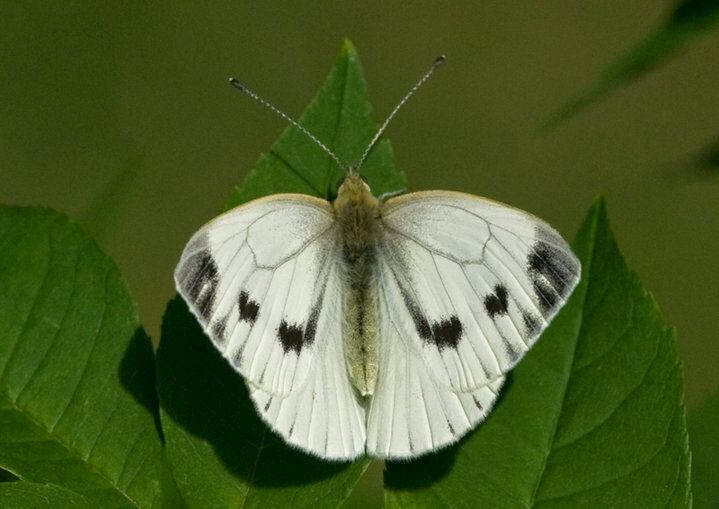 Louise Bacon, trip organiser, had been in touch with the county recorder, Doug Goddard, who had kindly told us that up to 40 Wood Whites had been seen in recent days and gave precise details of their location within this large Forestry Commission woodland. After a cool and somewhat cloudy start to the day, the weather improved as forecast and by 11:30, we were strolling along the tracks in warm sunshine which remained with us for the remainder of the day. 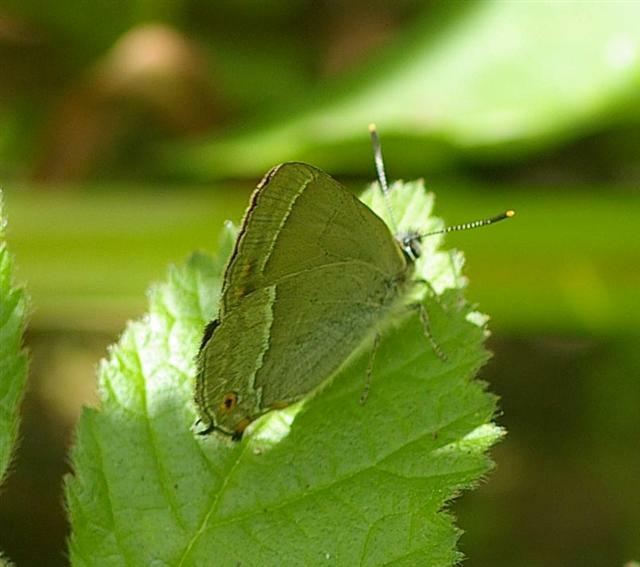 Almost immediately, two or three of the vanguard saw a hairstreak-like butterfly all too briefly in a clearing to the side of the track; Black Hairstreak are present in the Forest so we waited patiently trying to get a second glimpse but unfortunately to no avail. A footnote from the County recorder; this spot is a known site for them within the forest with very few sightings in recent years – he is going to follow this up this week. 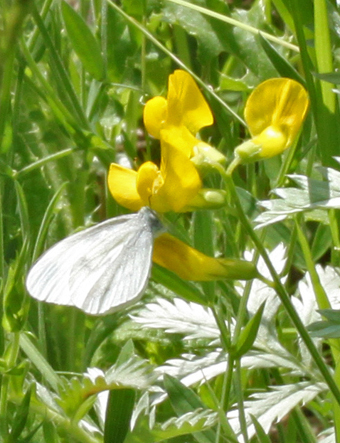 So on we went and we soon spotted the main target of the day – namely a Wood White along a wide open ride, and for several of us, this was an addition to our UK butterfly list. Several more Wood Whites followed, interspersed with many Speckled Wood (including one which was seen to lay an egg), 4 Large Skippers, 2 Meadow Browns and towards the end of our walk, a Common Blue. Several of the group left before our lunch stop, but with a couple having travelled all the way from Norwich, we did not begrudge their efforts to maximise their day by trying for Black Hairstreak at Glapthorn Cow Pastures. Lunch was taken by a delightful pond, with Emperor dragonflies (2 males), Broad-bodies Chasers (2 males and 1 female), Large Red damselflies, Red-eyed Damselflies and Common Blue (or Azure) damselflies patrolling and dancing over the heads of some hungry carp. We estimate that we saw 6 separate Wood Whites during our 3 hour stroll; thanks go to Louise for arranging this successful and very enjoyable walk and it was perhaps fitting that she, along with Vince Lea, saw a Large White whilst leaving at the end of the day, surprisingly the only other ‘white’ species seen during the walk. A good number showed up for the first field trip of the year – a chance to check out the success (or otherwise) of the Grizzled Skipper mitigation work to save the species from the ‘impending doom’ marked by the establishment of the Cambridgeshire Guided Busway through the old railway cutting. The trip was ably led by Grizzled Skipper conservation proponent, and long-time monitor of the site, Trevor Grange. Above the banks of the cutting, it was rather blustery and the sunshine was intermittent – thank goodness for the shelter provided of the cutting itself! The morning started well with an active Northern Lapwing chick (yes, a bird!) in the field adjacent to the makeshift car park. Remarkably enough, early season reports suggested that the target species had in fact survived the near destruction of its habitat. We entered the cutting en masse, where our first butterfly greeted us almost before we reached the busway – a pristine Red Admiral. It wasn’t too many more minutes before we had our first 'Grizzlie' of the day on the northern bank of the cutting. This was always the species' favoured spot, and that seems still to be the case. 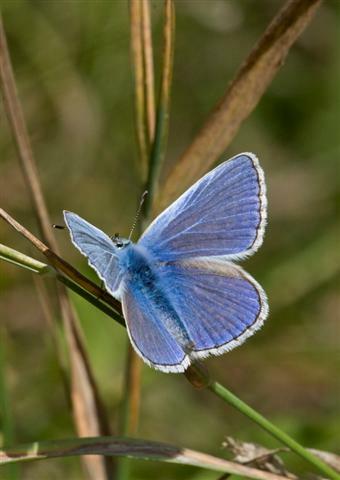 Other early species included Orange Tip, and then a male Common Blue and a Holly Blue – the last two simultaneously, so that those who saw one didn’t see the other! The next highlight for those with a broader ‘taste’ in wildlife was Osmia bicolor, which goes under the unimaginative English name of Two-coloured Mason Bee. The species is ‘listed’, but fairly frequent along the same strip of habitat favoured by the Grizzlies. This is one of a few species of solitary bee in which the female nests in empty snail shells. Most of us were fortunate enough not only to view females flying while carrying small pieces of straw, but also to see them entering and leaving their unusual nests. At least seven individual were seen during the trip (presumably most being females). Our walk extended all the way to the ‘second mitigation site’ (about 1.7 km from the car park) on the south side of the busway, and we then tracked back to the primary mitigation site on the north side of the cutting itself. This site is under the management of the Wildlife Trust and is officially private land, but we had permission to walk its length as part of the field trip. The primary site is looking healthy with new growth of native plants on the railway bed material that was relocated there as part of the mitigation strategy. Meanwhile, the second site is at a much earlier stage in development, although it still seemed to be providing a home for Brown Argus. By the time we returned to the road, at least half the attendees felt it time to go, but an intrepid team of diehards then ventured north-west to another large mitigation area about a quarter of a kilometre from the road. Here there are several ponds, a sizable ‘plantation’ of native shrubs (mostly Hawthorn) and an area that should develop into a meadow suitable for our Lepidopteran friends. We didn’t venture to the north end of this site, as a pair of Lapwings were ‘doing their thing’ to let us know they were nesting nearby. All in all, a good time seems to have been had by all, and everyone saw at least one Grizzled Skipper (most of us seeing numbers in double figures). A big vote of thanks to Trevor for all his hard work and for guiding us on the day. Final day list of Lepidoptera (with minimum numbers): grass moth sp(p). (4); Grizzled Skipper (18); Brimstone (1 female); Small White (3); Orange Tip (10 males); unidentified whites (10s); Small Copper (9); Brown Argus (3, of which 2 male); Common Blue (2 males); Holly Blue (1); Red Admiral (1); Small Tortoiseshell (2); Peacock (2); Small Eggar (nest of 5+++ caterpillars, below knee-height en route to the northern mitigation site); Silver Y (1); Mother Shipton (1); Burnet Companion (3).